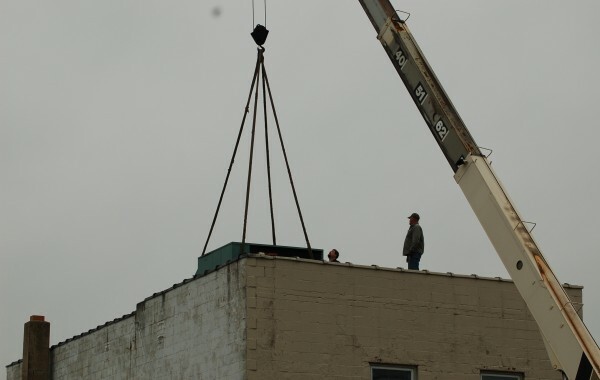 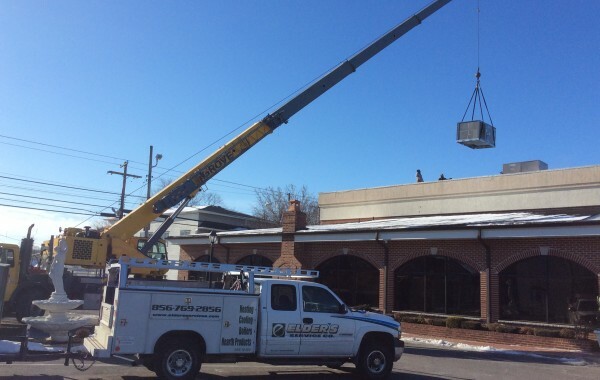 One unit being hoisted up and one waiting “on deck” at Dollar General in Salem, NJ. 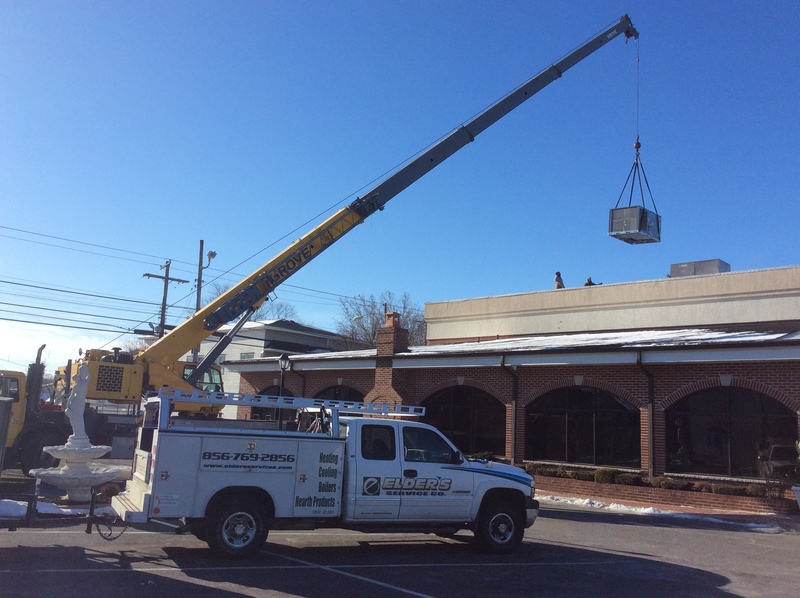 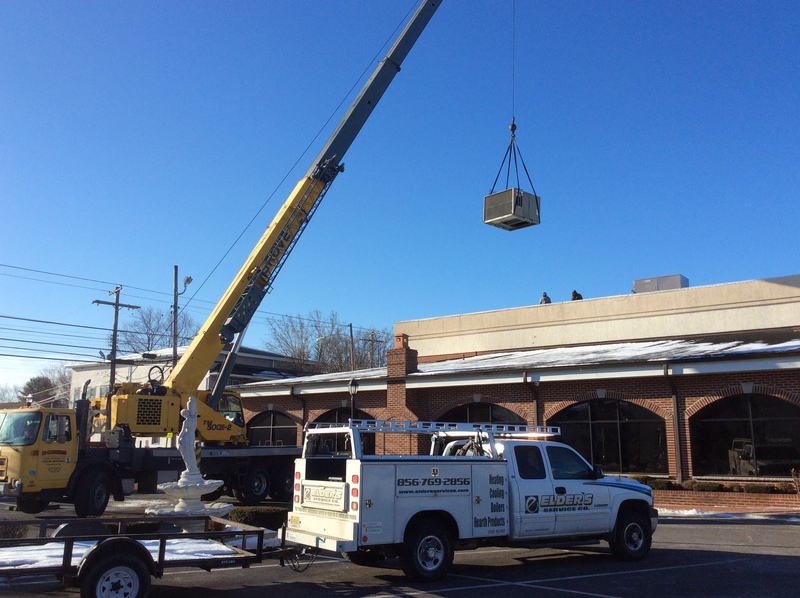 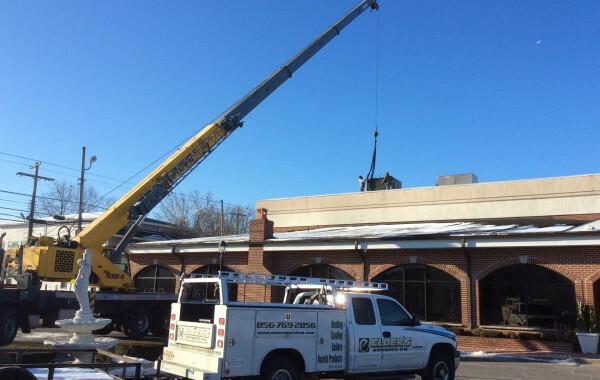 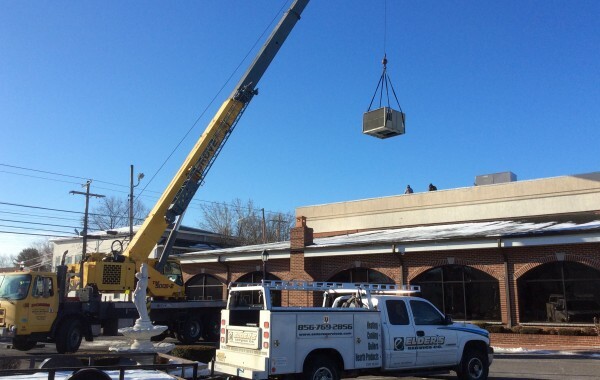 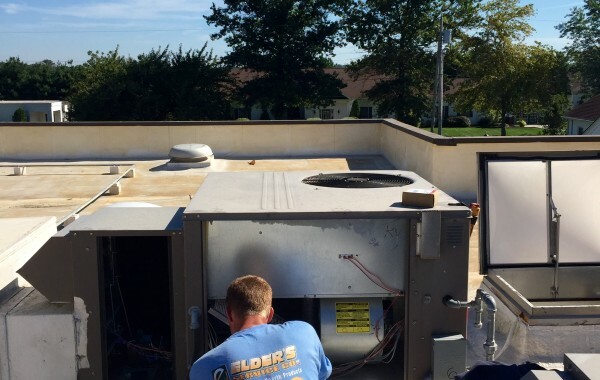 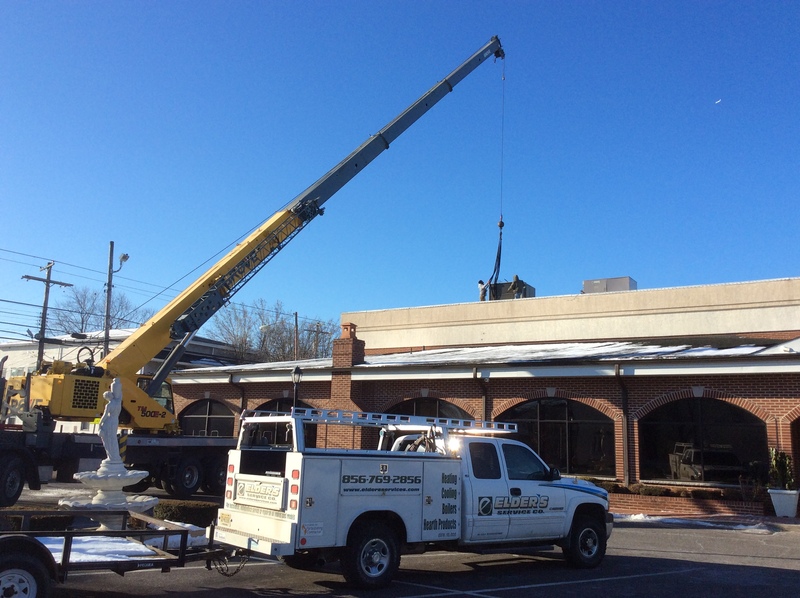 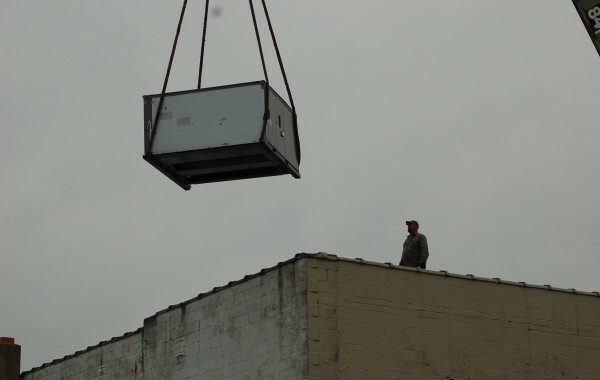 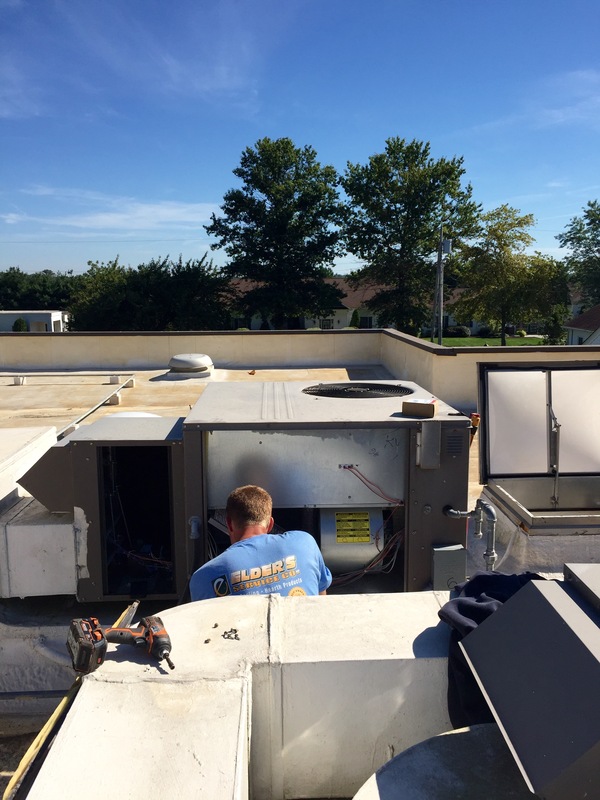 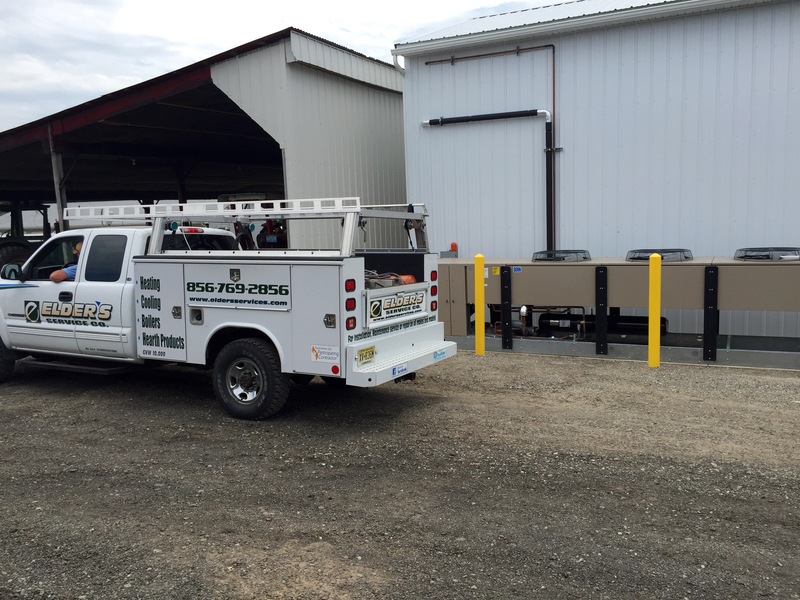 Rooftop unit installation at Dollar General in Salem, NJ. 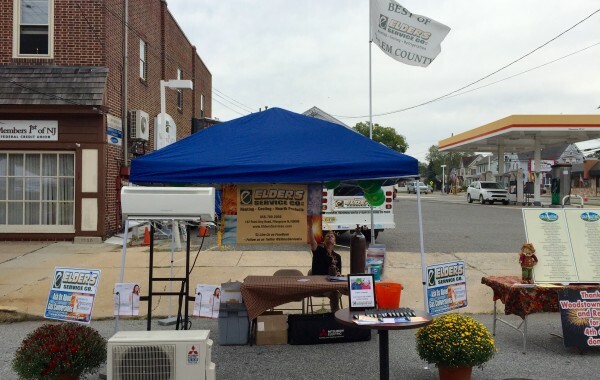 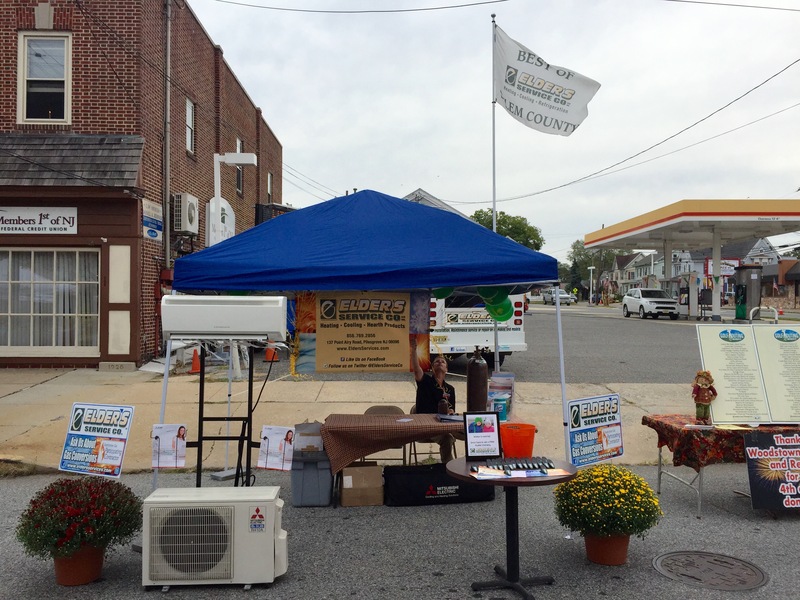 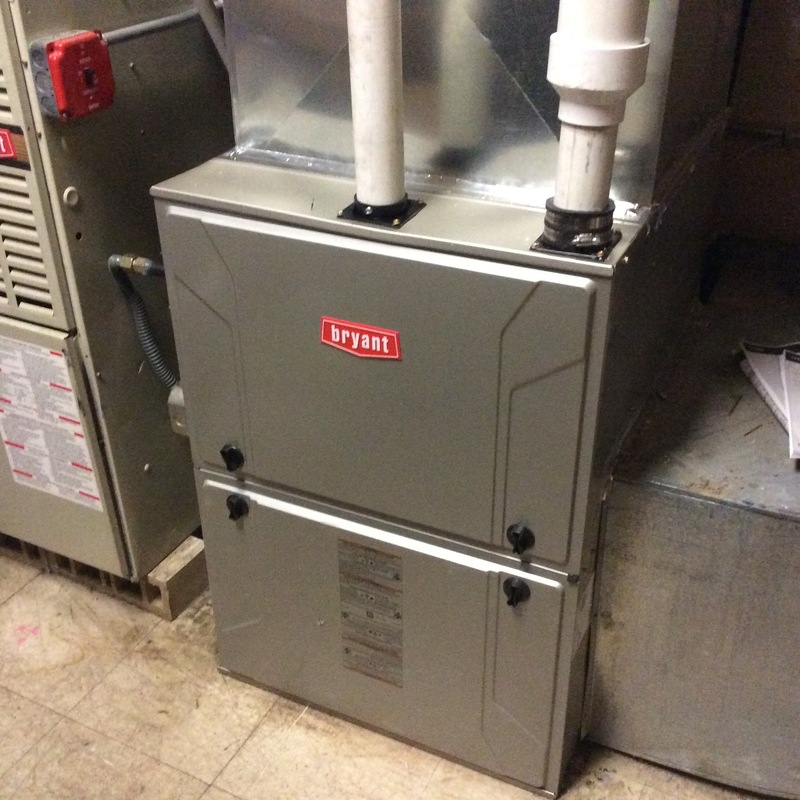 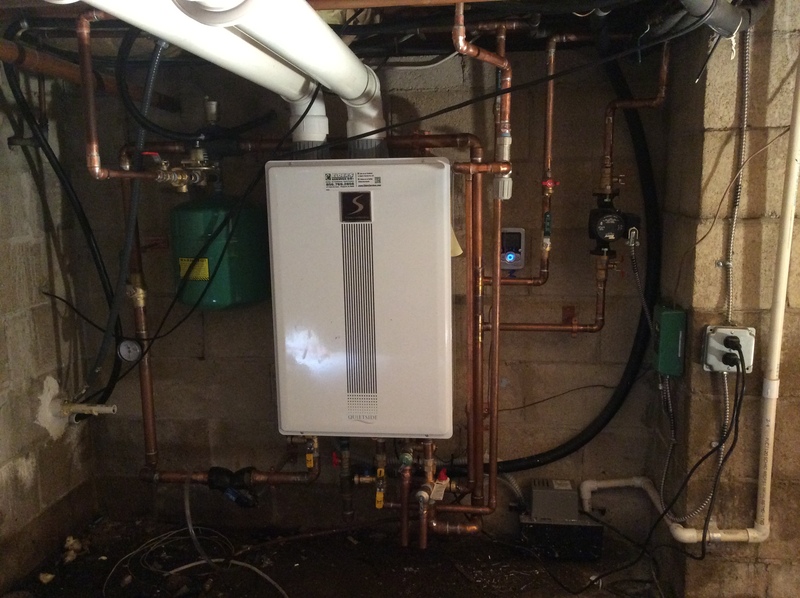 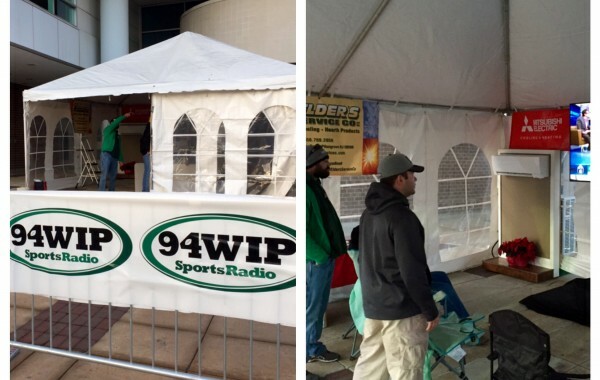 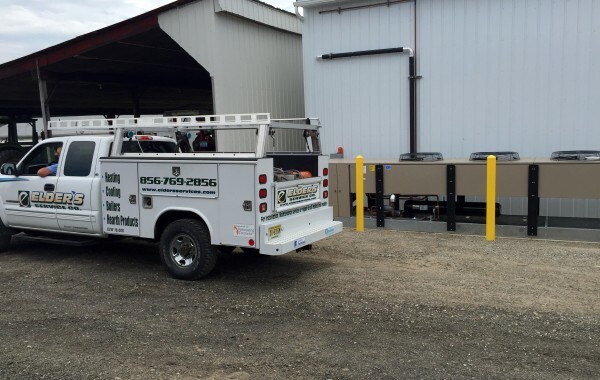 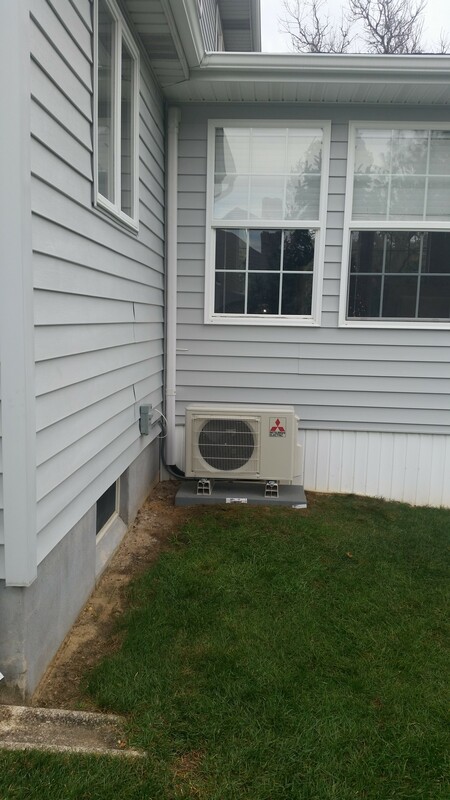 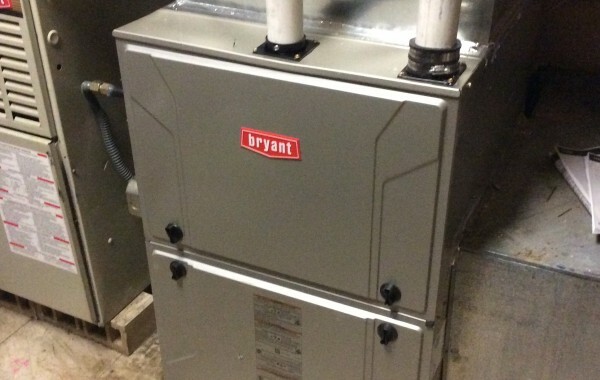 Outside condensing unit at an install in Hopewell Twp. 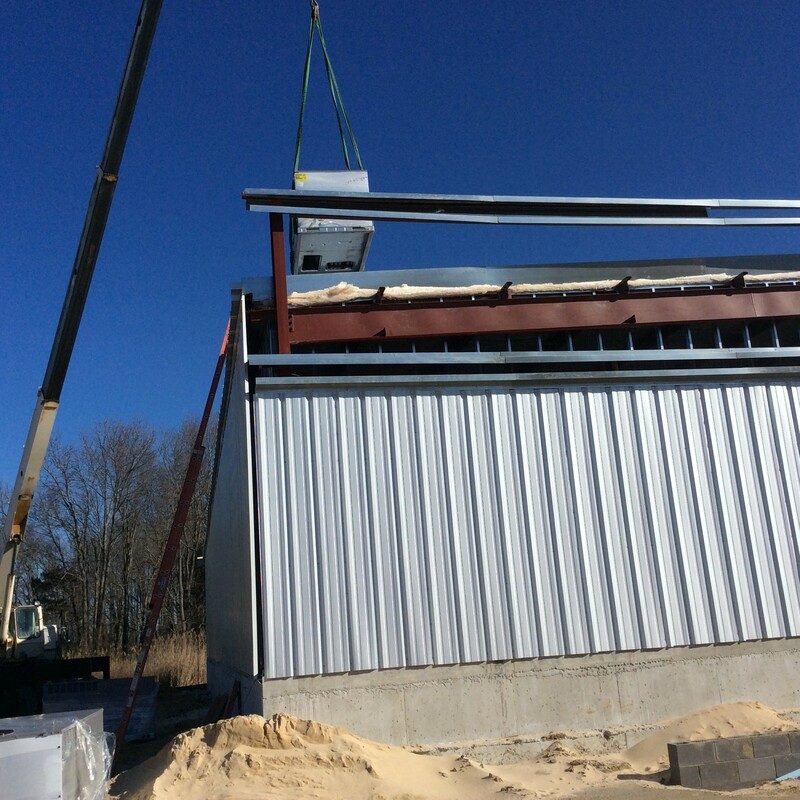 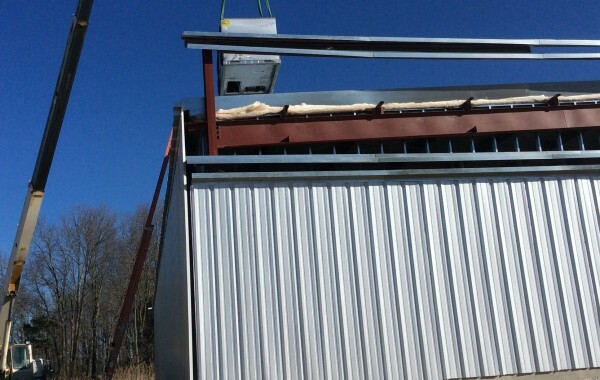 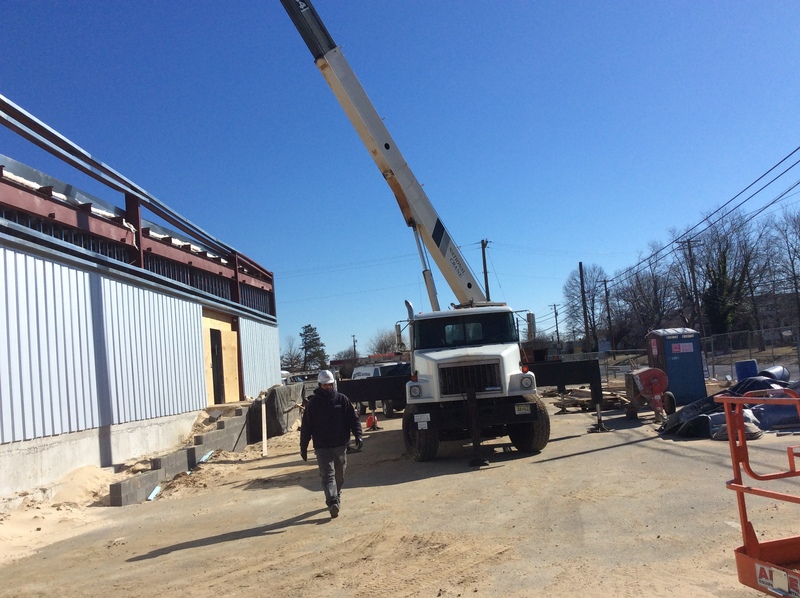 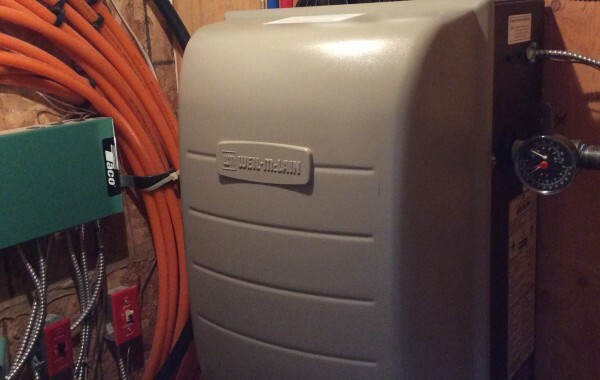 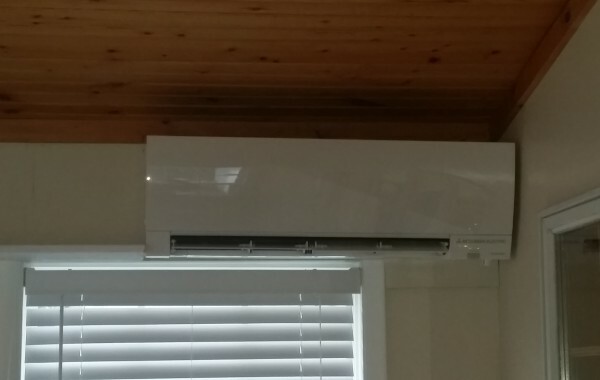 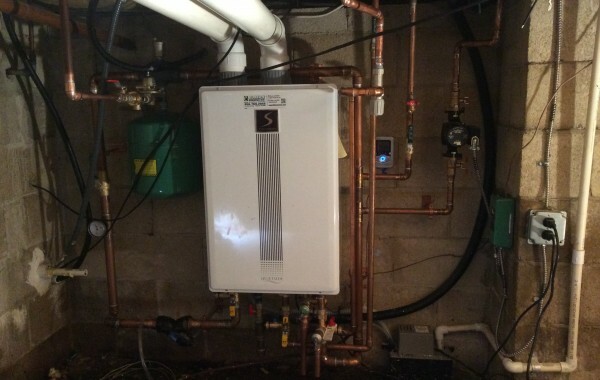 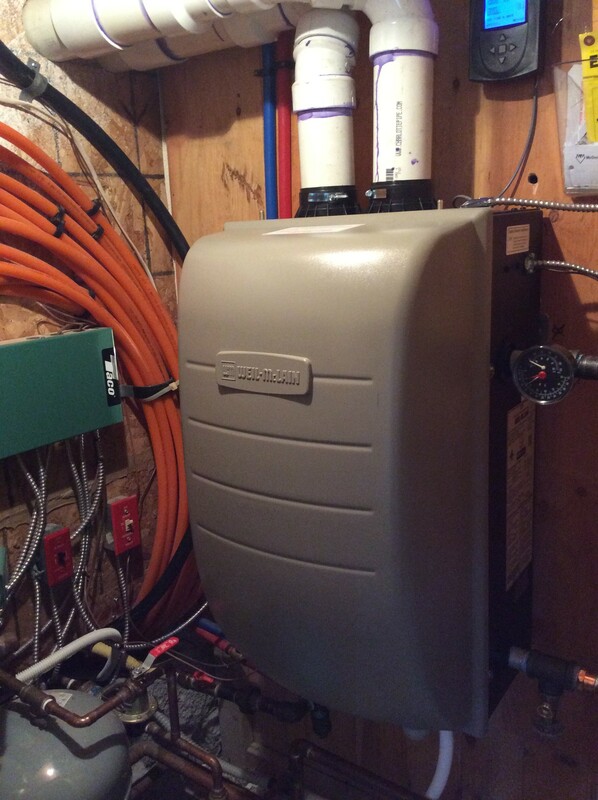 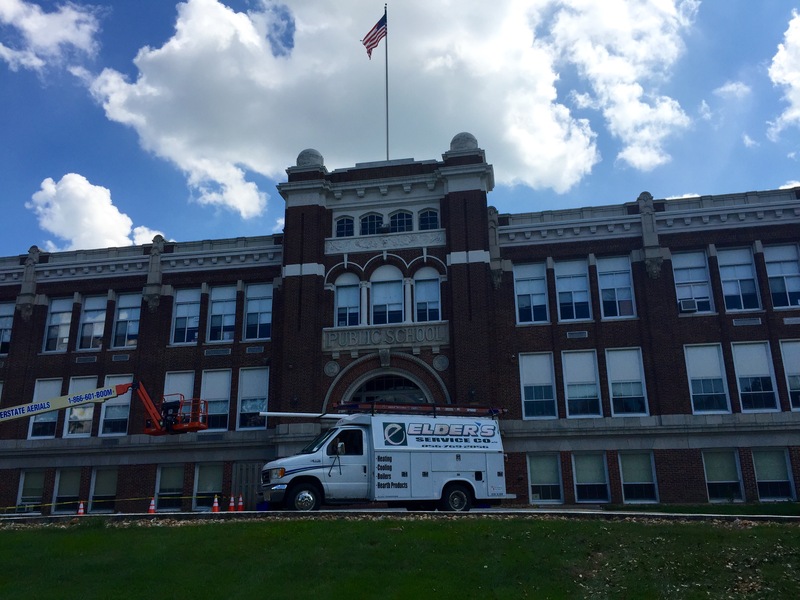 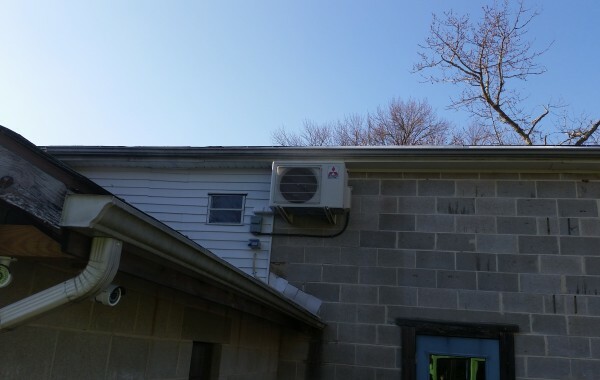 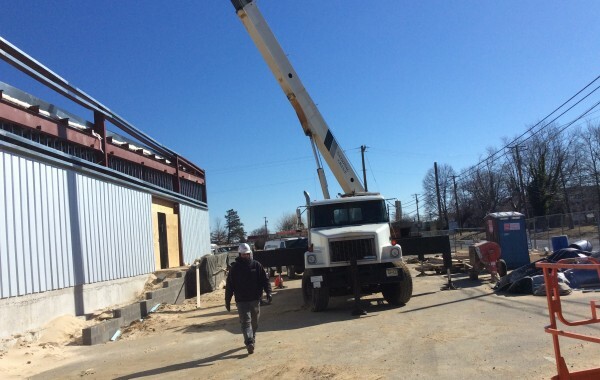 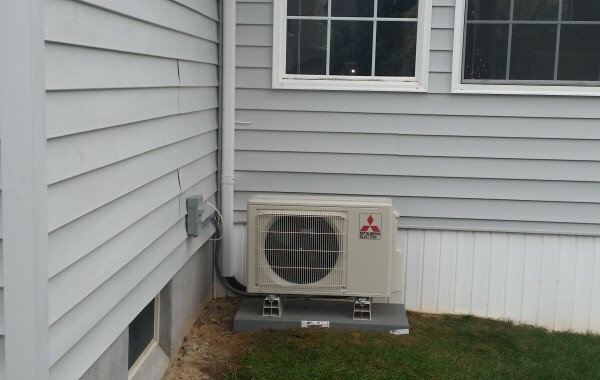 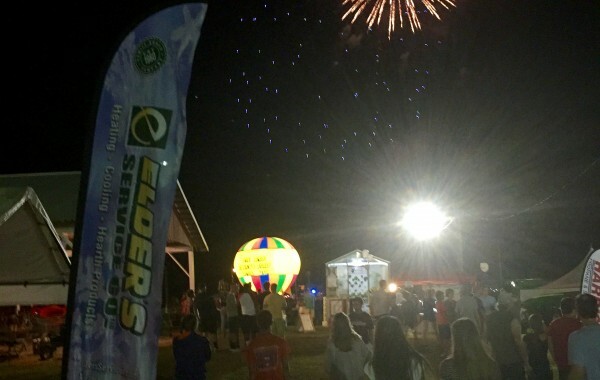 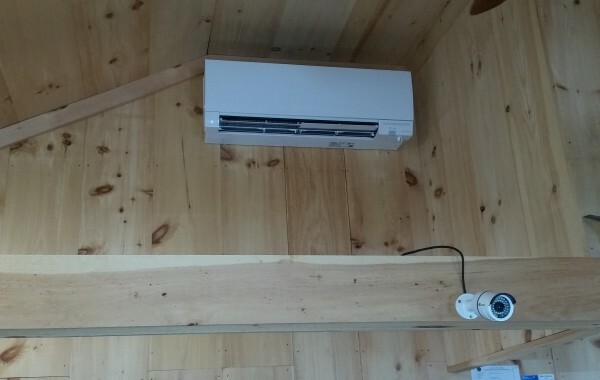 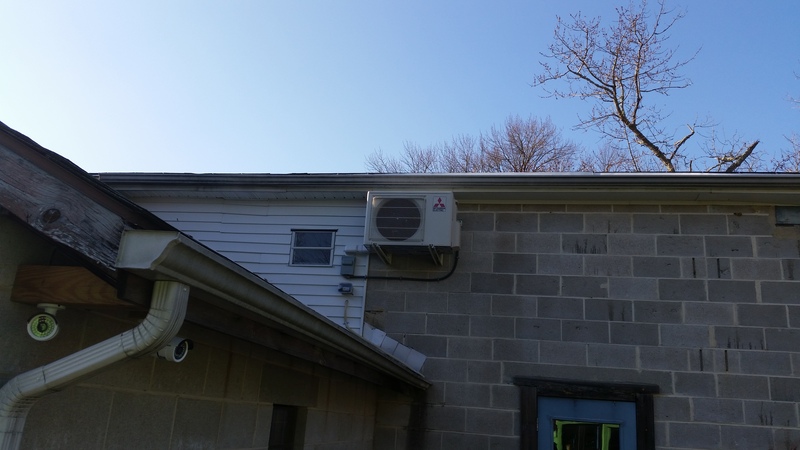 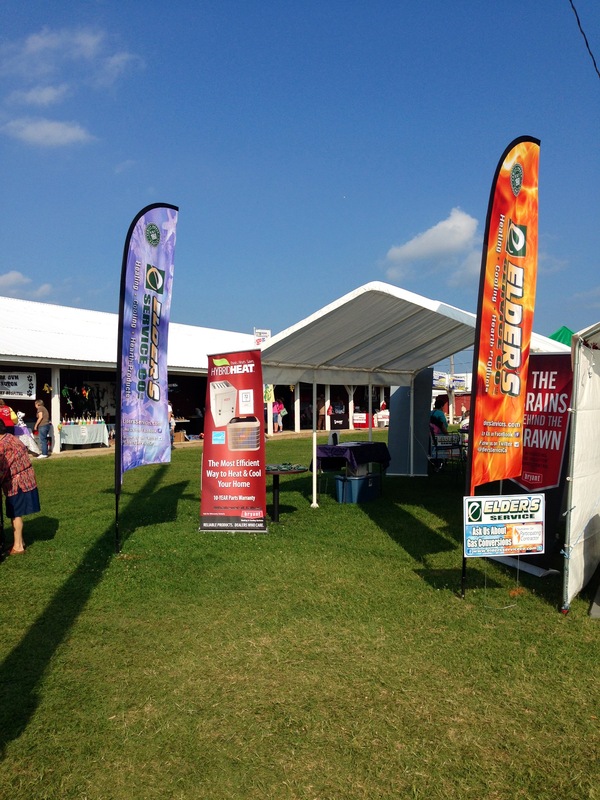 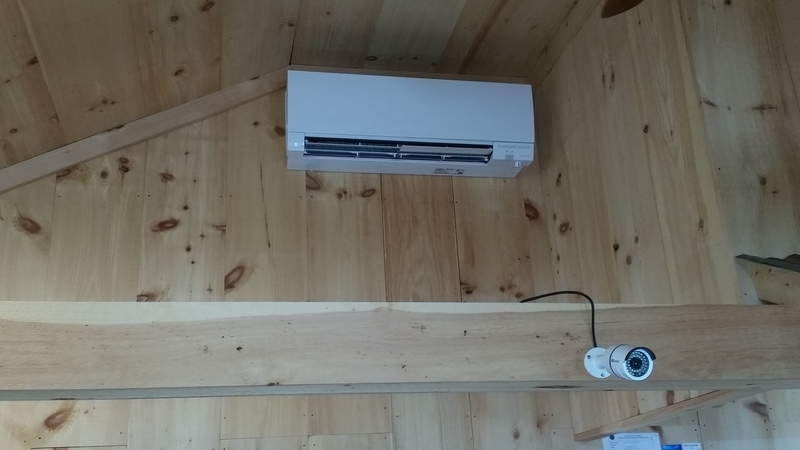 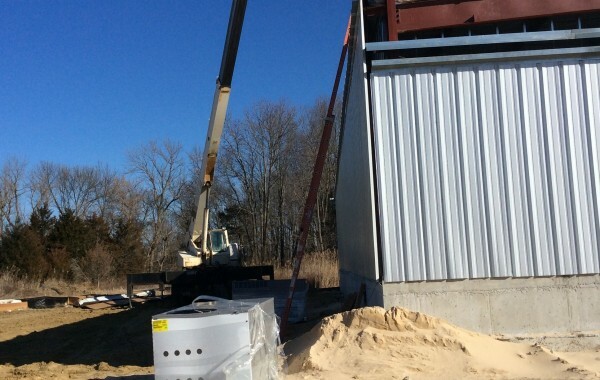 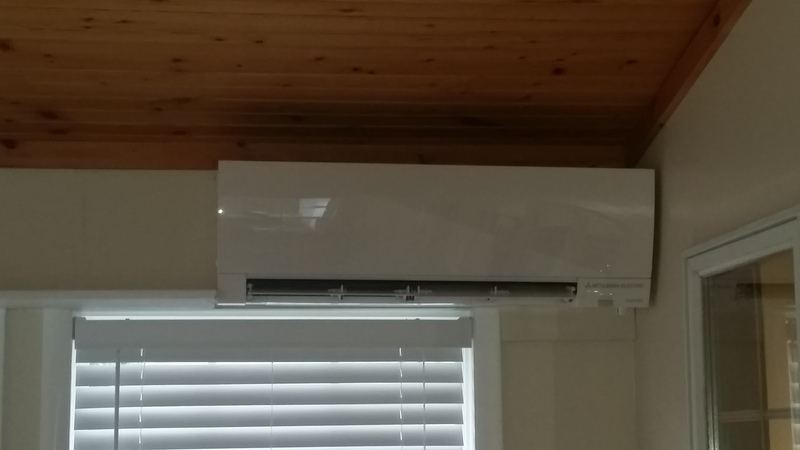 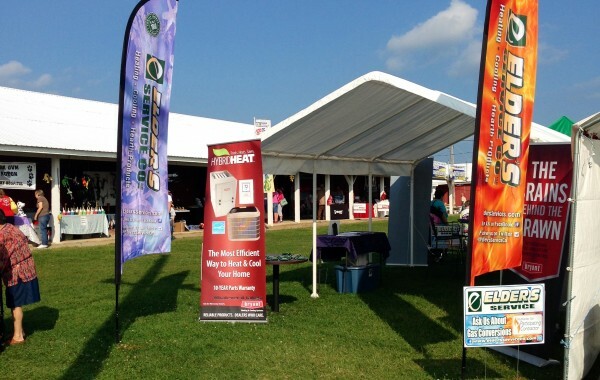 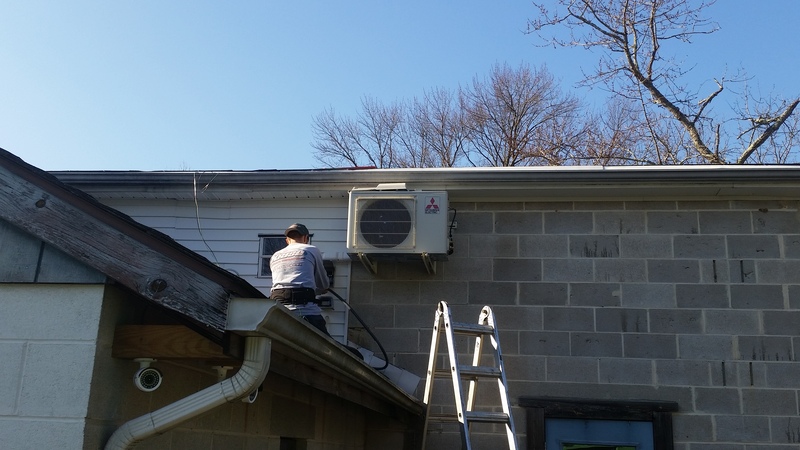 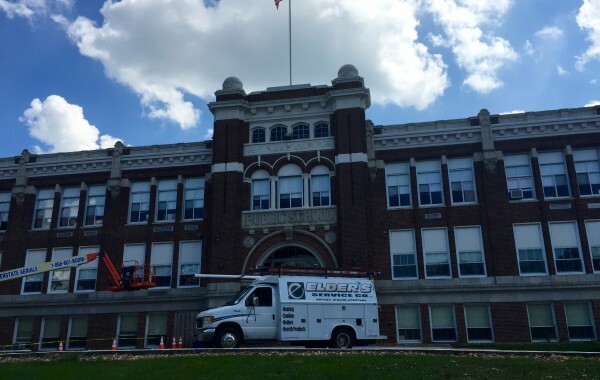 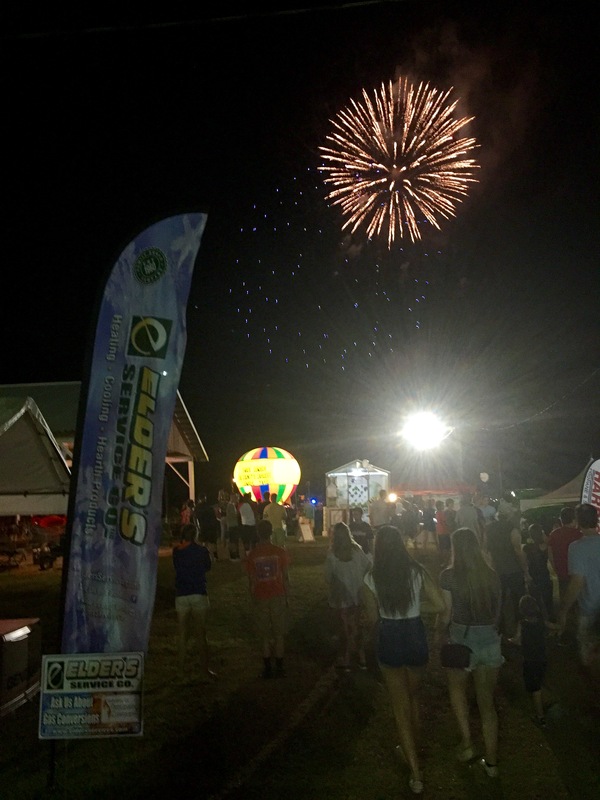 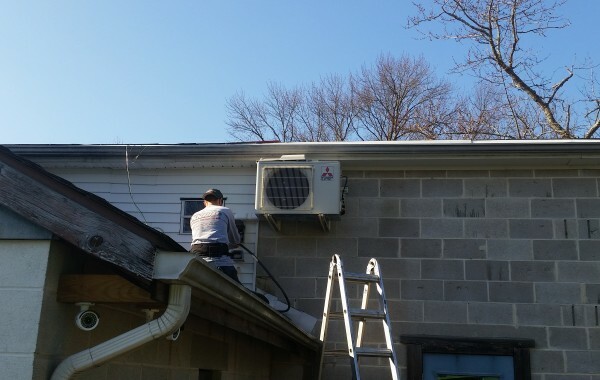 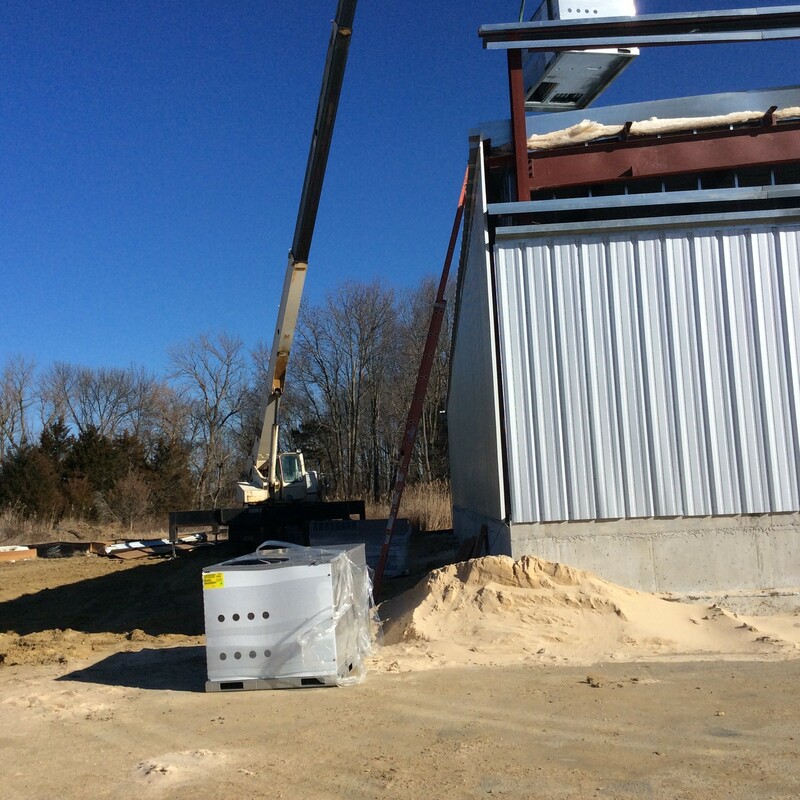 Mitsubishi Ductless system installed at Pineland Adventures in Shamong, NJ.